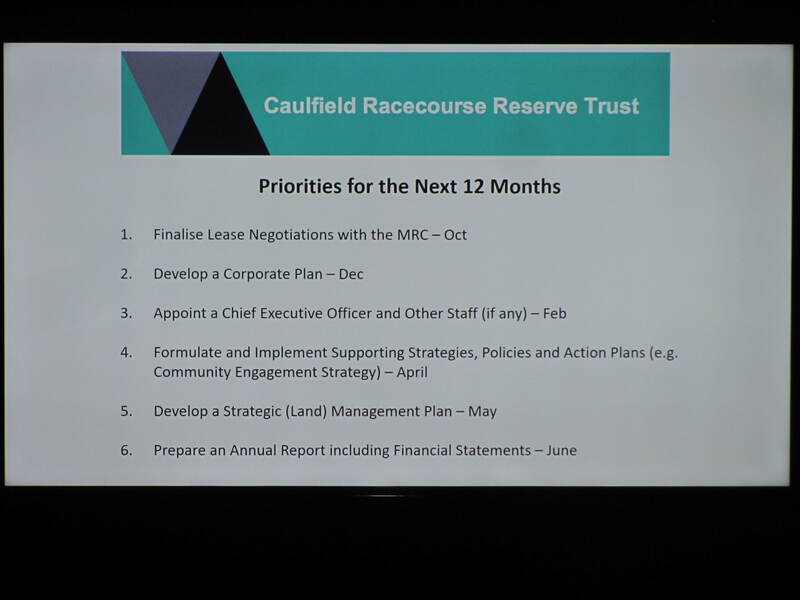 After at least 150 years of the racing industry’s supremacy over the community, nothing much appears to have changed with the newly announced lease signing and the appointment of the new trustees. Will the community be privy to the fine print of the lease agreement? Is the removal of training binding in this agreement? Will the trustees publish a map that clearly outlines the land under the lease and which is freehold land? How was the figure of $300,000+ per annum arrived at when previous evaluations were in the million dollar range? 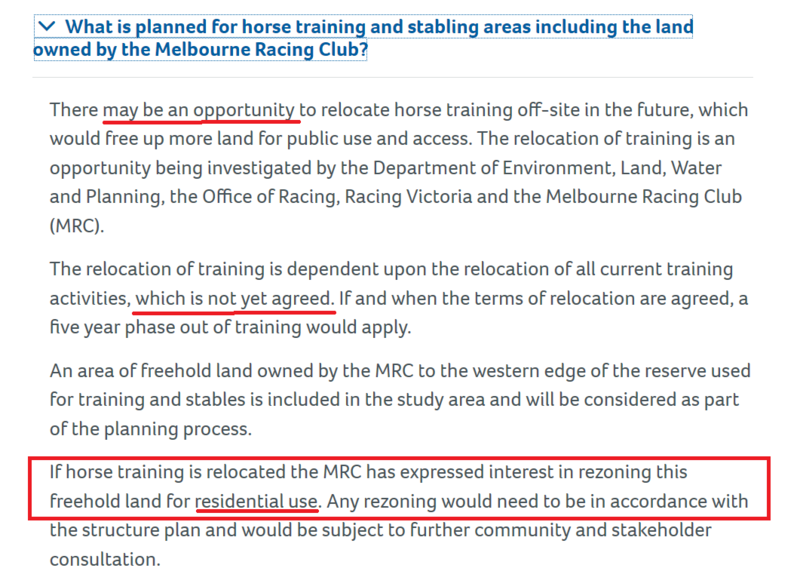 Why is the MRC, with its vast resources, being given literally a peppercorn rental and will this rental apply only until the removal of training or for the duration of the 65 year lease? Will the introduction of night racing mean more racing events? How will these events impact on the local community? Can residents expect residential development on the freehold land? Will light towers now predominate across vast areas of crown land? Will a new track mean further encroachment onto public open space and the further proliferation of lego land – ie white fences? Despite the work of the various spin doctors we do not see this as anything else apart from another victory for the Melbourne Racing Club! A couple of soccer pitches do not warrant this buckling at the knees! For the first 5 years the payment to council (as committee of management) of $137,500 and for each 2 year extension up to a further 4 years, a rental of $30,400 per annum. The land under discussion includes a 153 square metre area that contains a water bore, and another area to the east of the Wedge of 675 square metres. This second area abuts the current freehold land containing the stables. Why would the MRC agree to pay even this pittance for a lease on land that has stood empty for years unless this is nothing more than a major land grab to accommodate future residential development to the east of this strip? Below is a screen dump taken from the VPA website which makes it clear that the MRC is thinking of more development once training goes. Is the payment of basically $27,000 per annum a reasonable rent given that any commercial block of 675 square metres would certainly receive far more in rent? Does this lease mean that training will not be gone for another 9 years at least? In 2011 a 5 year time limit was put on. We are now talking 2027 at the earliest. Why has this item made an appearance at this stage given that the newly appointed trustees are set to begin their reign on the 1st August, 2018. Does the signing off of this lease usurp their power and authority and hence is the timing deliberate? Surely council could have waited another 2 weeks given the years when nothing has happened? What does this mean for the proposed dog agility facility? How can dogs, kids, and adults co-exist with trucks, workmen, etc having unrestricted access to the bore? Why is the last sentence of the Department letter redacted? What potentially damaging info does this sentence contain? One sentence of the officer’s report is worth repeating –As the lease term is less than 10 years Council is not required to give public notice of the intention to enter into the lease with the MRC. Skull duggery at its best! No publicity, no objections, no community involvement whatsoever! Well done council! All in all another cave in by council and the department to the Melbourne Racing Club! Residents would be hard pressed to decipher council’s position on the officer recommendations, especially when Delahunty made such repeated comments as ‘we will not give up’ plus labelling the MRC as ‘disgusting’. Not one single councillor addressed the issues raised by the Planning Panel letter and why council is unable to respond to these legal issues. Was further legal advice even sought? Not one single councillor even mentioned the issue of the MRC’s attempt to tinker with the boundaries to the Mixed Use precinct and how this was also an integral part of the proposed amendment. What happens now on this issue is anyone’s guess. Instead we got heaps and heaps of chest thumping about how important social housing is and barely a word on the amendment itself and why it should be abandoned except for ‘we don’t have the controls’. This was never itemised, spelt out, or even discussed. Significantly, Esakoff (one of the gang of 4 who accepted the Incorporated Plan) did not speak. For those interested in listening to the discussion, we’ve uploaded it below. How councillors vote on Item 9.5 next Tuesday night will reveal much about their courage, their integrity, and their overall commitment to social/affordable housing. It will reveal once and for all whether all the recent huffing and puffing about supporting the less advantaged in our society has been nothing more than hot air and political grandstanding. Having given consideration to the issues explored in this report, resolves to not proceed with Amendment C151 and support a position to the Panel appointed to consider Amendment C151 that it intends to abandon the amendment. The appointment of the gang of 4 (Lipshutz, Pilling, Hyams & Esakoff) instead of the entire councillor group to decide on the incorporated plan in 2011 which agreed to heights of at least 20 storeys. Decision after decision that increased dwelling numbers from a stated 1100 to now over 2000 and by the conclusion will probably total closer to 3000 apartments – the vast majority being single bedroom dog boxes. A ridiculous acceptance of a pathetic little ‘playground’ and barbecue area that is supposed to represent ‘open space’ for the community whilst the gates remain locked half the time. If the Amendment proceeds a considerable amount of funding and resources will be required in the preparation of a panel hearing. 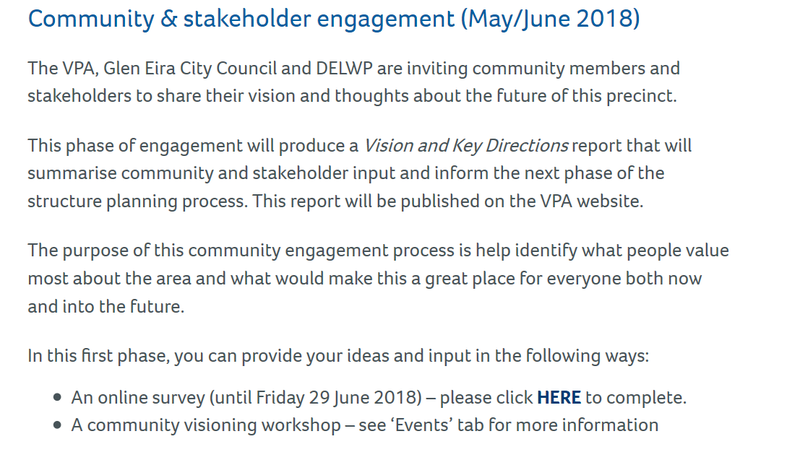 How this sentence can even be included is literally mind boggling – especially when the draft Strategic Resource Plan includes this gem of future expenditure – Shepparson Avenue Market Development – $2.95m for design, concept plans and initial consultation (page 6). If we are reading this correctly, council is prepared to spend just under $3 million before the first sod of earth is even turned, yet they baulk at the prospect of even $100,000 to ensure that the MRC holds up its end of what the Incorporated Plan and the C60 schedule states. What irks us even more is that the entire focus of the officer’s report is on the social housing aspect. Yet the proposed amendment contained much more. It was intended to ensure that the MRC could not alter the boundaries of the 3 precincts which would have enabled them to expand some areas and hence cram in more dwellings. No argument is presented as to why this should not be pursued! 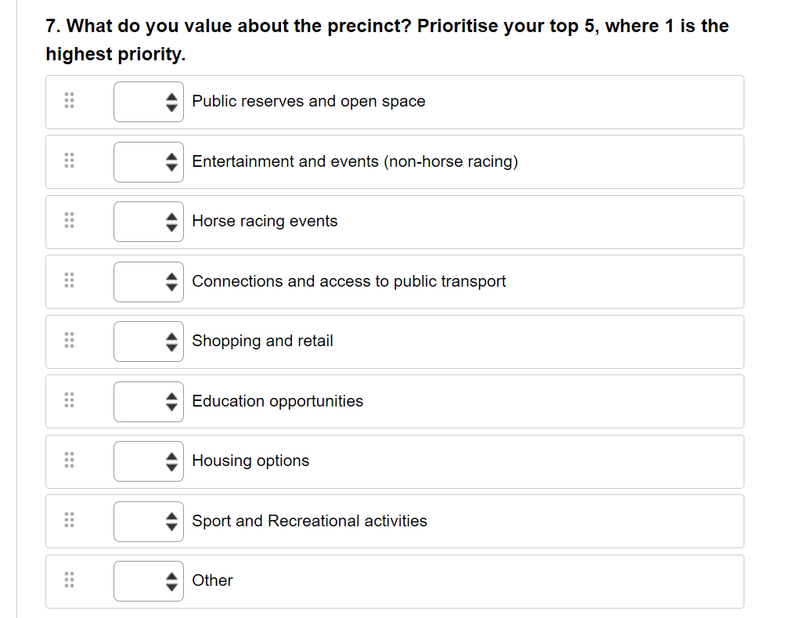 The other issue this item raises is the competence of council’s planning department once more. If there are ambiguities in the draft amendment and therefore open to legal challenge, then what does this say about the expertise of those who drafted the amendment in the first place? Regardless of the legal wrangles, council now has the opportunity to carry through on all its stated commitments to social housing. It should not come as a surprise that the MRC is fighting every step of the way. But so should council if they have any integrity left! Hire some decent legal eagles, do the necessary homework, and ensure that the MRC does not once again walk all over the community and its representatives! The expenditure of $100,000 is surely a drop in the ocean compared to the vast waste that is endemic in Glen Eira!